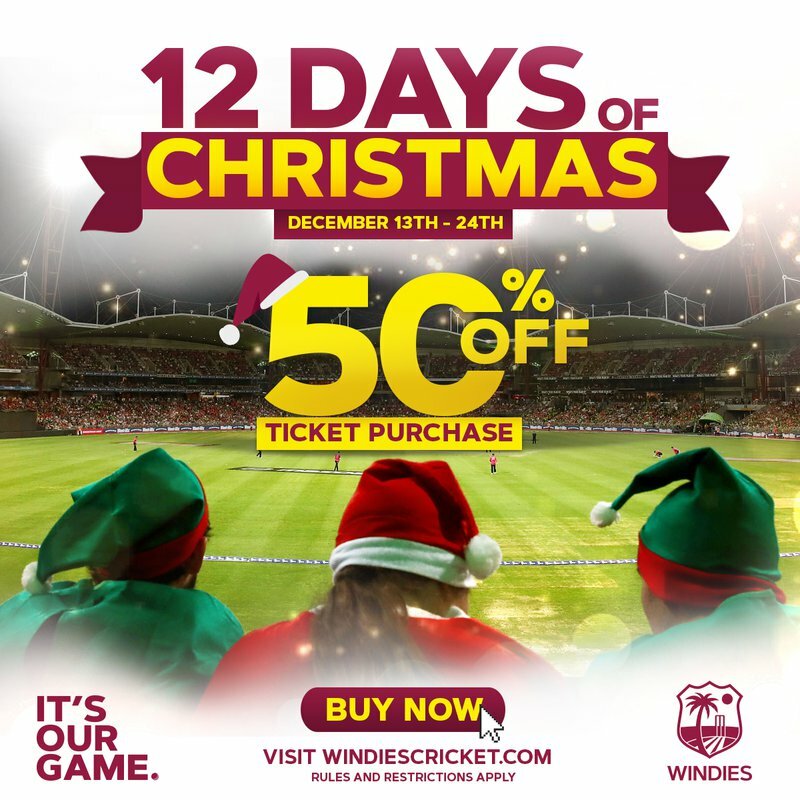 Cricket West Indies announced the launch of its “12 Days of Christmas” ticket promotion for the England Tour of the West Indies 2019, giving fans in each of the Series’ host countries the chance to buy up to a pair of tickets at half price. “The England Tour of the West Indies is a cricket series that the whole region looks forward to,” said CWI Commercial Director, Dominic Warne. 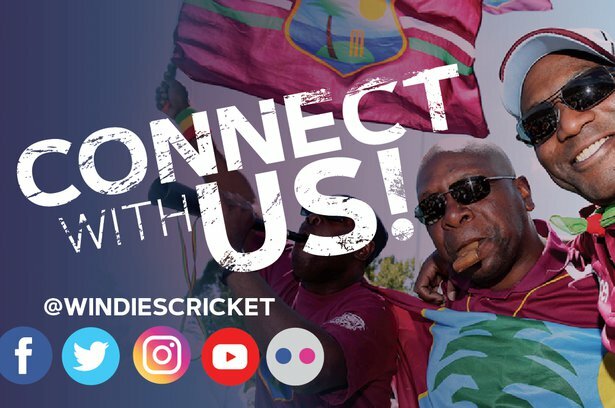 Warne added: “We’re delighted WINDIES legend, Sir Curtly Ambrose, joined us to help spread this Christmas message, since he knows the difference it will make if West Indies fans are there to get behind the team. From today, December 13, until midnight Christmas Eve, December 24, and while stocks last, residents in the host territories for the Tour, i.e. 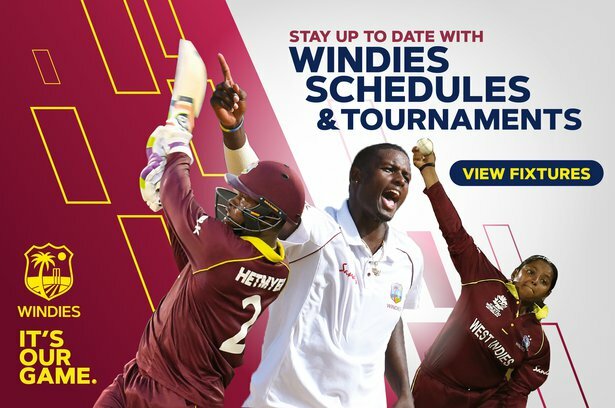 Barbados, Antigua, St. Lucia, Grenada and St. Kitts, get 50 per cent off a pair of tickets for any ticket category, when they make their purchase through the www.windiescricket.com website using the “Buy Tickets” button. This means Barbados residents can buy tickets for the Barbados matches only at the discounted price, St. Lucia residents can buy tickets for the St. Lucia matches only at the discounted price, and so on. Ticket booths will open approximately two weeks ahead of each game for fans to buy their tickets in person, albeit with tickets reverting to standard prices. WINDIES are expected to name their Test squad following the third round of the ongoing West Indies Championship in January. England announced last Monday that their Test squad remains the same following their recent Tour of Sri Lanka; Tom Curran and David Willey have been included, but Sam Curran, Liam Dawson and Olly Stone miss out on One-day International selection; and the Twenty20 International squad will be named at a later date. 50% discount applies to tickets purchases made on www.windiescricket.com for each category and all stands for all matches. The respective promo code must be used for residents/matches in each territory. Example: Fans residing in Antigua must use the Antigua promo code. You must be residing in the territory of the match you wish to attend to receive the 50% discount. Purchases made by residents outside of the territories listed above are not eligible for the promotional discount. The daily purchase limit is 2 tickets for the promotion. Other special terms and conditions may apply.